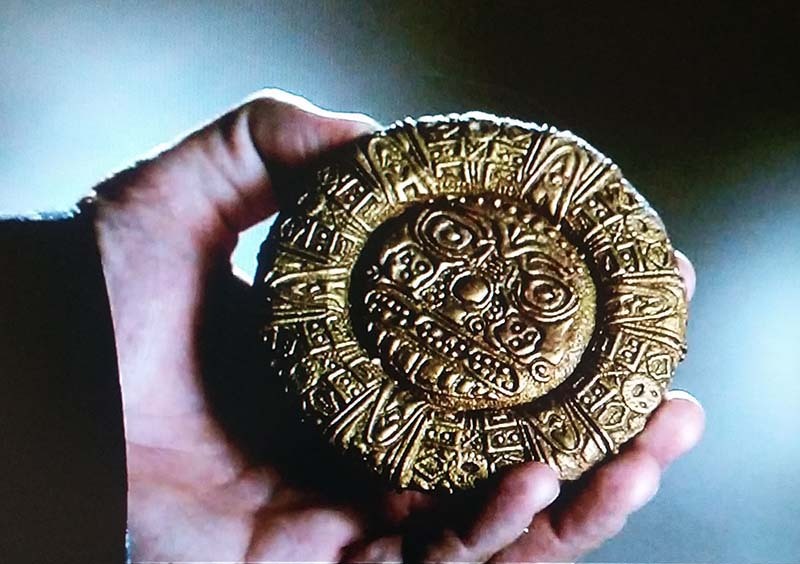 Tonight's episode of Castle was called "The Time of Our Lives" and featured an Incan artifact that has time travel properties. The series has already aired an episode "Time Will Tell" about a time traveler who returned to our timeline to prevent a disaster - but this was different. 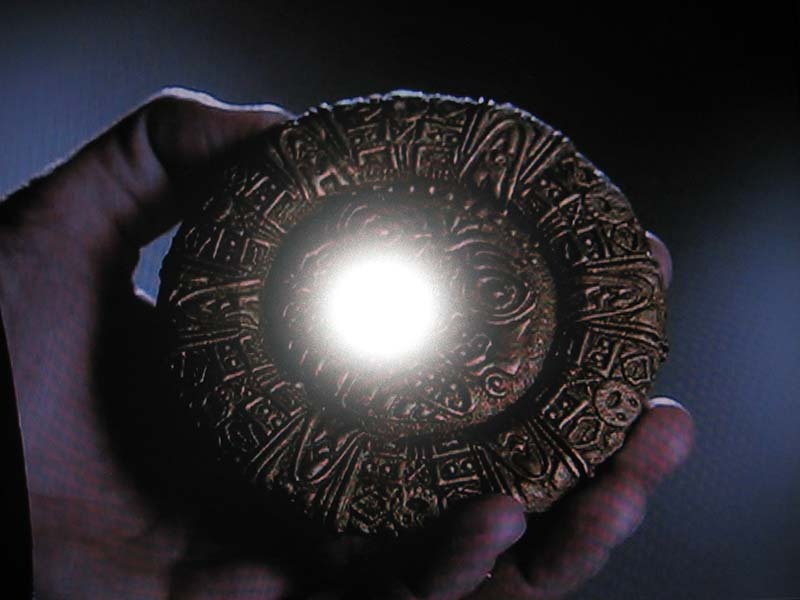 In "The Time of Our Lives" the circular artifact pictured below hurls Castle into a parallel reality - the same characters but different relationships and events. Castle charms his way into a similar police investigation to earn the chance to return to his own universe by finding the artifact and solving the crime along the way. This wasn't exactly a Fringe-esque or the Stargate SG1 time traveling episode Moebius 2 - but it was fun non-the-less and a lesson in emotions and priorities. The episode ends with Castle and Beckett finally tying the knot, but the reality in which that happens isn't quite clear. There may be clues that something is off in the video. In Stargate SG1, the fish in the O'Neill's pond was the clue that something was not as the main characters believed it to be. 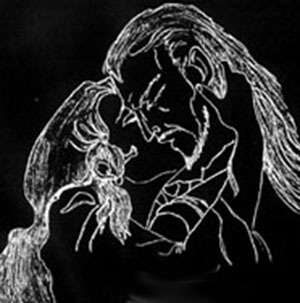 The question always remains when one enters an alternate reality - though they think they may have returned to the original one - have they? This also takes us to the new science fiction adventure film Interstellar about a team of space travelers who travel through a wormhole in search of a new habitable planet. It's always about physics and algorithms which make us real. You are consciousness and code having an experience in space-time for the emotional thrill of it all. Questions: Do you physically wake up in the same reality every day? 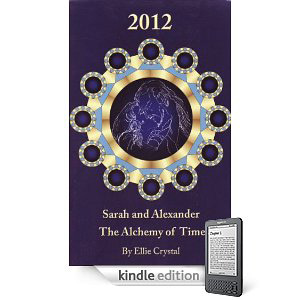 Does one really need an artifact to travel between parallel realities or is it all about the consciousness grids? I took this photo of Castle holding the artifact from my TV using my Samsung Galaxy Note 4. Photo 2 - Interesting that the story of Sarah and Alexander is in the photo as I didn't set it up that way.